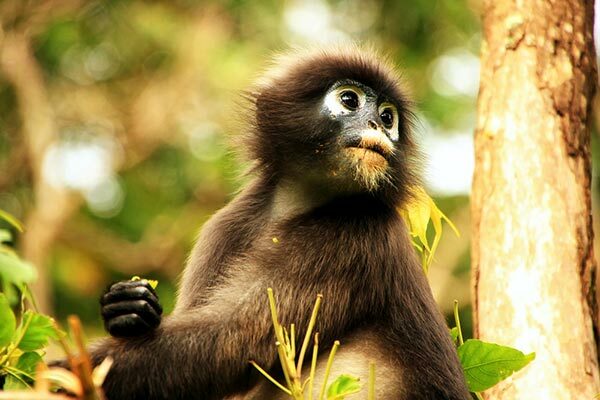 The Angthong National Park was established on 12th November 1980. Mu Koh Ang Thong is an archipelago in the Gulf of Thailand. Most of the islands are close to each other making a breathtaking panorama sailing around the Angthong Marine Park. All the islands are of different sizes and shapes. Most of them are covered with tropical forests and named after their distinguishing geography, a kind of descriptive appellation, such as ‘Sleeping Cow Island’ and ‘Three Pillars Island’. 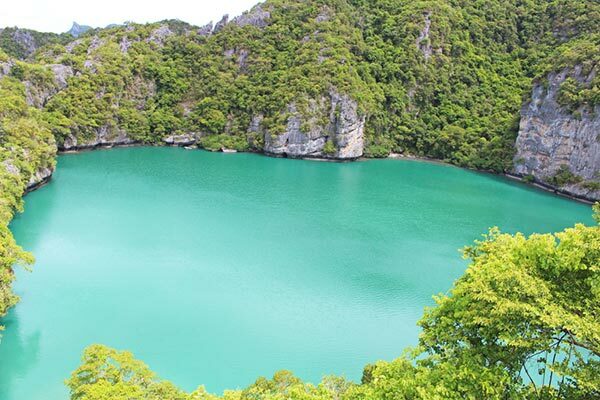 Angthong, translates as ‘golden bowl’ is a protected nature area famous for its natural beauty. All of the islands are uninhabited and undeveloped except for one. 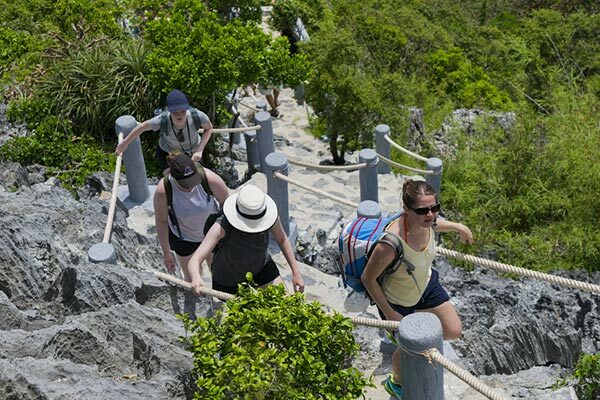 All of the islands consists of limestone mountains about 10-400 meters above sea level. Because the limestone can change its structure easily by both chemical condition and weather, during centuries the islands creates strange-looking caves, cliffs and some islands look like ancient Angkor Wat in Cambodia and Prasart Hin Pimai. Part of the famous movie “The Beach” directed by Danny Boyle and based on the 1996 novel of the same name by Alex Garland, took place at Angthong Marine Park an Phi Phi Islands. The film stars Leonardo DiCaprio and features Tilda Swinton, Robert Carlyle, Virginie Ledoyen and Guillaume Canet. Please note: There is no discussion about foreigners who are long term residents, exchange students, holders of Thai work permits or hold Permanent Residency in Thailand. 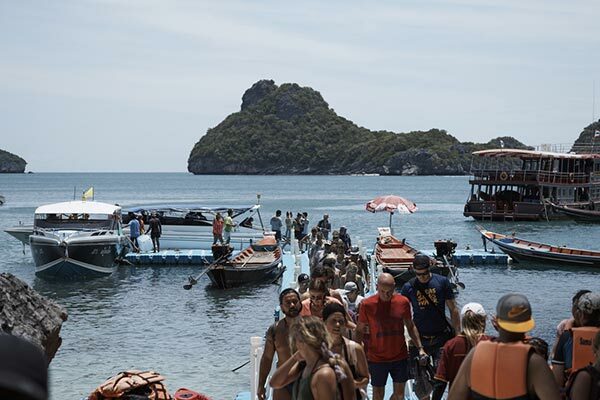 As a national park,only government-approved tour boats may enter Ang Thong. These day trips may be booked on Koh Samui, Koh Phangan or Koh Tao. Sailing liveaboard cruise trips and speedboat charters may also be organised. Most tours stop at a few different locations. They combine a day of hiking, sightseeing, kayaking and lounging on the beaches. Some of the hikes require a good level of fitness, so be sure to check with your guide about the degree of difficulty before setting off! 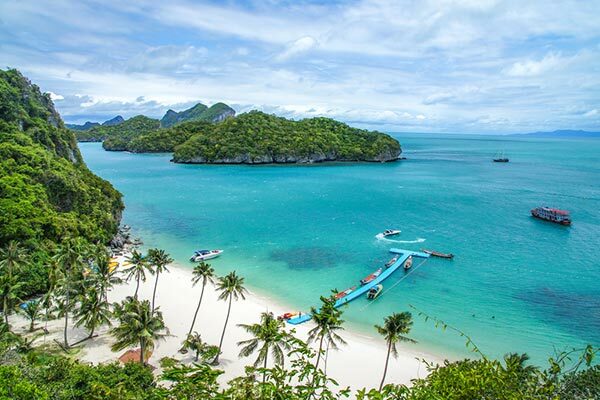 Ang Thong is 28 kilometres from Samui and 32 kilometres from Pha Ngan. 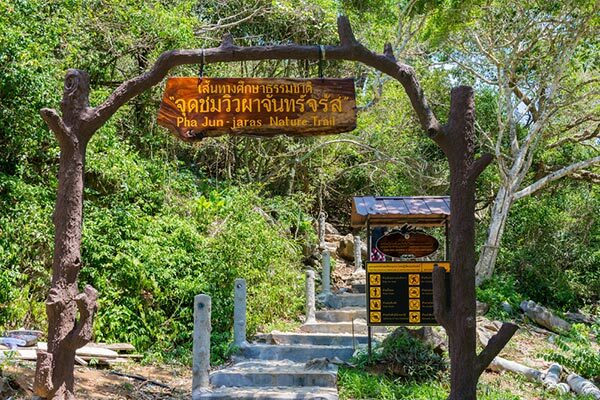 The national park entry fee (sometimes included in the tour cost) is 200 baht for foreign adults, 100 baht for foreign children, and 40 baht for Thai nationals. The best time to visit Ang Thong Marine National Park is March to October when the seas are calmer. The park is sometimes closed due to inclement weather in the months of November through January.